Childbirth is a beautiful bloody mess… let’s talk about it. For many years, and long before the creation of Empowered Birth Project and the launch of the petition, people have been advocating tirelessly to end birth censorship and to uplift the cause of informed, supported, and empowered birth. As of January 2018, Facebook and Instagram have officially changed their policies to allow uncensored birth content on their platforms! With over 23,000 signatures, we have literally changed the world! Thanks to Katie at Empowered Birth Projects work. VICTORY! 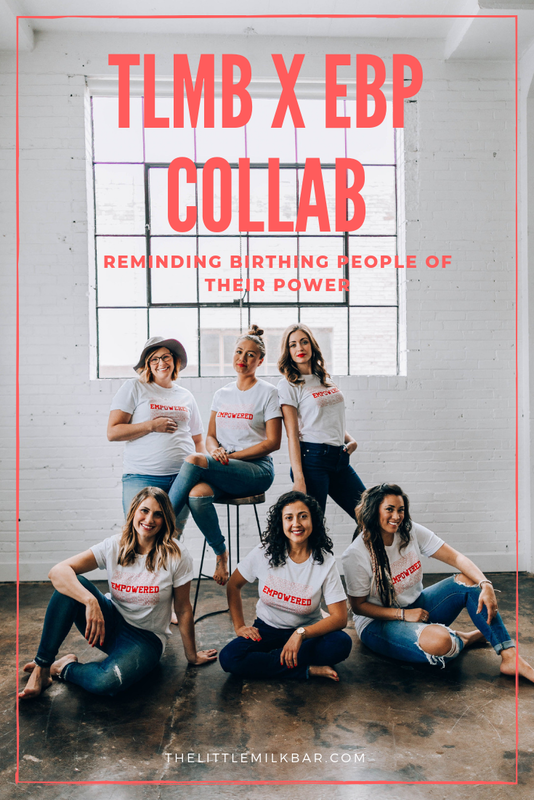 Introducing The Little Milk Bar x Empowered Birth Project Collab. Whether you gave birth vaginally, or by c-section, had a home birth, or hospital birth, whether you had an epidural or went unmedicated… YOU are one badass mama! And we effing praise you! Because birth is no easy feat. You should feel incredibly empowered. The Little Milk Bar teamed up with Empowered Birth Project for this EMPOWERED tee collab that we both hold near and dear to our hearts. Katie received the call from Instagram in January of 2018 that she had changed social media forever to allow uncensored birth. VICTORY! We wanted to create a tangible item that symbolized the POWER mothers have. The incredible journey they went through to grow their baby inside of them, and then birthed them into this world. Creating human life is something that should be celebrated, not censored. So we used real mothers for this campaign… with real birth stories. And you can read all about them in our next few blog posts.